All we’ve been hearing about Google is that they’re releasing some new product or tool or tha their earnings have gone through the roof again. On the bleak side, we hear that Yahoo is in trouble and that the economic crisis is breathing down on the car makers of Detroit and Sequoia Capital backed startups in Silicon Valley ultimately causing them to shed jobs. Well, Google isn’t all we thought. 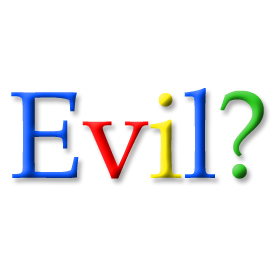 Google has been, like the rest of the country, laying off thousands of their employees. However, they manage to keep it out of the spotlight by axing their "casual" workers, meaning not regular yet ironically still full time. Don’t worry, it’s completely legal and on the other hand utterly unfair. So Google is not immune to the crisis after all, they have just again, as usual, managed to outsmart the system and go around it. Yes it’s not the most humane or ethical way to go but it sure is the most effective. Besides, capitalism dictates that for a business to succeed, meaning make tons of money, do whatever it takes!